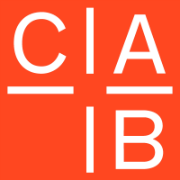 The Chicago Architecture Biennial is a 501(c)(3) non-profit organization dedicated to creating an international forum on architecture and urbanism through the production of exhibitions and public programs. The manifestation of Mayor Rahm Emanuel’s vision for a major international architectural event and an outcome of the comprehensive cultural plan developed by Chicago’s Department of Cultural Affairs and Special Events, under the leadership of Michelle T. Boone, the inaugural 2015 Chicago Architecture Biennial was presented through the support of BP, and in partnership with the City of Chicago and the Graham Foundation. Joseph Grima and Sarah Herda, co-artistic directors, curated the 2015 biennial, entitled The State of the Art of Architecture. Through its constellation of exhibitions, full-scale installations, and programming, the 2015 Chicago Architecture Biennial invited the public to engage with and think about architecture in new and unexpected ways, and to take part in a global discussion on the future of the field. The second edition of the Chicago Architecture Biennial (CAB) was the largest architecture and design exhibition in North America, showcasing the transformative global impact of creativity and innovation in these fields. The 2017 Biennial featured over 140 practitioners from more than 20 countries addressing the 2017 theme “Make New History.” Artistic Directors Sharon Johnston and Mark Lee selected architects and artists whose eye-opening creations invited the public to explore how the latest architecture can and will make new history in places around the world. The Biennial was hosted by the Chicago Department of Cultural Affairs and Special Events at the historic Chicago Cultural Center. It was also a city-wide platform that served citizens and invited visitors to explore Chicago. The 2017 Biennial programs included educational sessions with the Chicago Architecture Foundation serving 15,000 young people, as well as free tours of the Frank Lloyd Wright-designed SC Johnson headquarters in Racine, Wisconsin.